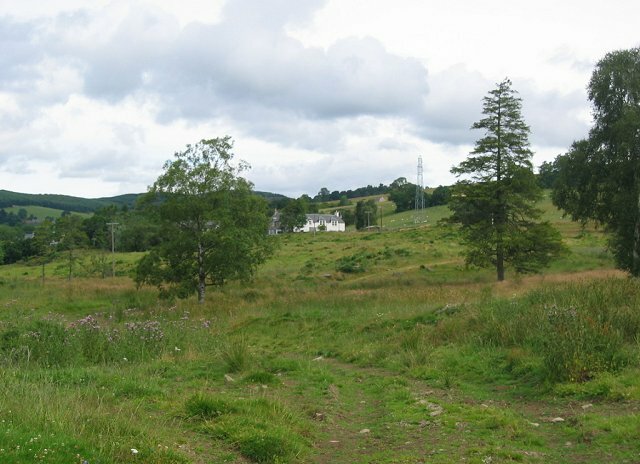 A strathspey was named after the gentle slopes of rough grazing leading up to moorland above the Tay at Ballinluig. This is typical of the farmland, rough and tree studded. At this time it was being used to graze cattle and sheep, there were also some trespassing red deer stags about as well. Once there was a distillery here, just in the next square, behind the white house (Woodside of Tullimet). Alternative spelling Tulliemet.